Artist Transcriptions for Guitar. 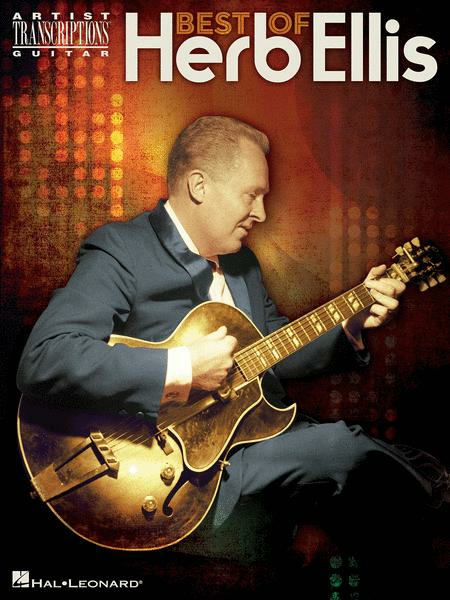 By Herb Ellis. Artist Transcriptions. Jazz. Softcover. With guitar tablature. 128 pages. Published by Hal Leonard (HL.125617). Exact transcriptions of a baker's dozen songs from jazz guitarist Herb Ellis. Includes: Captain Bill • Deep • Detour Ahead • Easter Parade • Ellis in Wonderland • It Could Happen to You • Love for Sale • Naptown Blues • One Note Samba (Samba De Uma Nota So) • Pickly Wickly • Royal Garden Blues • Somebody Loves Me • Stuffy.